Doubling down on its Sisyphean efforts to push Rob Riggle up a hill and into America’s living rooms, Fox has cast the The Daily Show and Saturday Night Live comedian in a new single-camera sitcom. 48 Hours ‘Til Monday will star Riggle as Charlie Bishop, a hard-working dad struggling to reconnect with his wife and kids on the weekend, in spite of his intrusive mother-in-law and his own overconfidence. 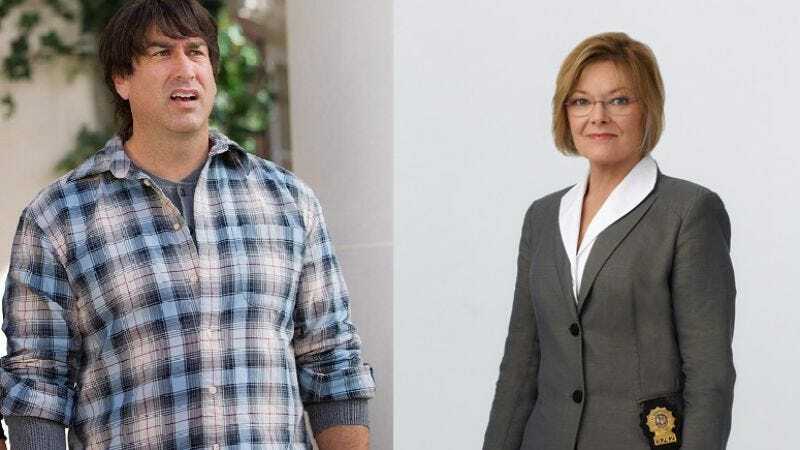 Comedy vet Jane Curtin has been cast as said situation comedy cliché—here named Louise—whose lax approach toward parenting will hypothetically contrast humorously with Charlie’s own, in the statistically unlikely chance that a Rob Riggle pilot ever sees the televised light of day. But we kid poor old Rob Riggle, who’s struggled for years to land a TV series lead despite successful (if small) roles in movies like 21 Jump Street and shows like Modern Family. We can only hope Jane Curtin is being nice to him on the set of 48 Hours, and not flaunting her residual checks from all of her past shows like 3rd Rock From The Sun or the recently ended Unforgettable. Charlie Grandy of The Mindy Project—also an extant show that a network chose to repeatedly broadcast, which can only be a good sign for Riggle—will executive produce.